For those of you who are doing training on-line, there is now a link to the eLearning Login page here on The Orderly Room. You can find it on the right hand side of the page under 'Important Links'. 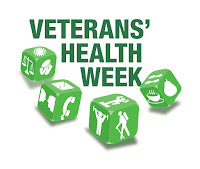 The health card arrangements are the main way DVA, on behalf of the Australian Government, provides convenient access to health and other care services for veterans, war widows and eligible dependents. Arrangements are based on providing access to clinically appropriate and required treatment, which is evidence-based. The DVA health card allows card holders a streamlined administrative process, whereby the health card holder only has to present their card when receiving treatment and not worry about seeking reimbursement or obtaining receipts and invoices for payment. Click here if you want to know more about DVA health cards. 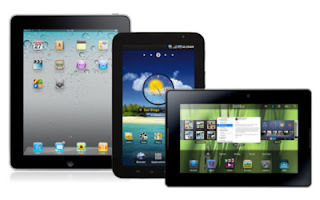 Seniors Information Services offers a range of sessions on iPad, Android and Internet Security. Book for a one-on-one session or a group seminar. Call 8168 8776 for more information. 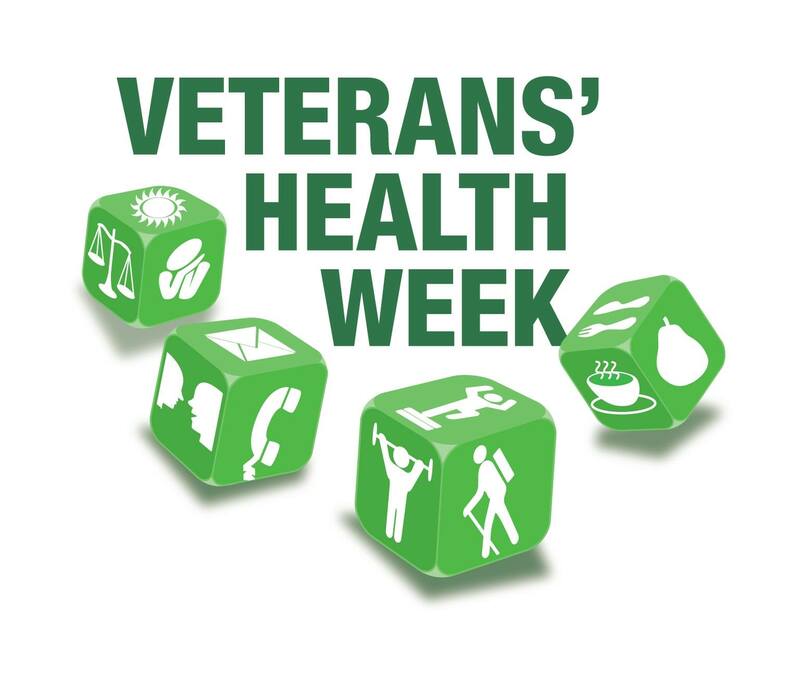 Veterans' Health Week is an opportunity for veterans, war widows, widowers, current and ex-Australian Defence Force members and their families to make positive changes to the health and wellbeing of themselves and their friends. 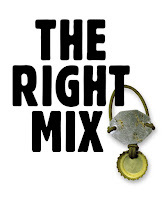 The Right Mix website has been enhanced to provide better support for veterans and serving ADF members in order to help them manage their alcohol consumption. 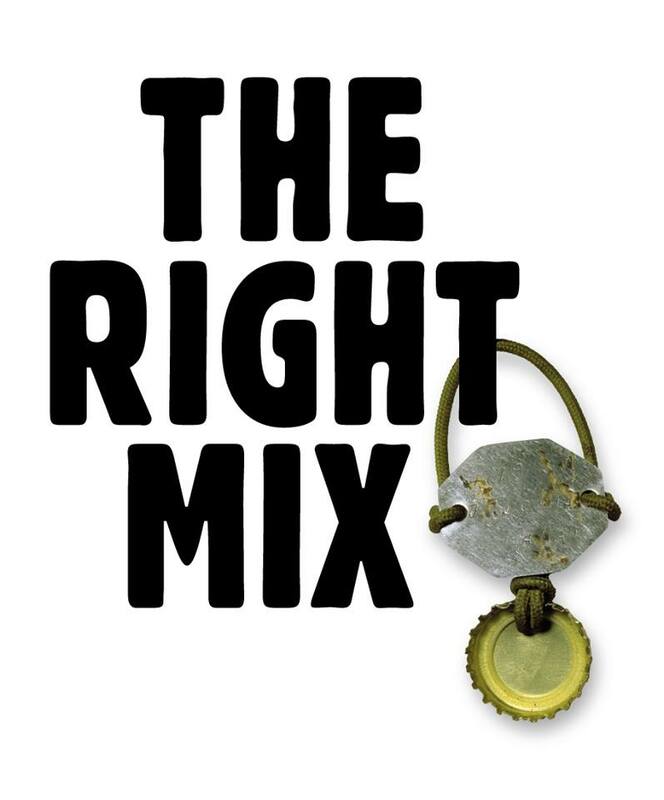 The Right Mix has been updated based on the latest research into the effects of alcohol consumption. 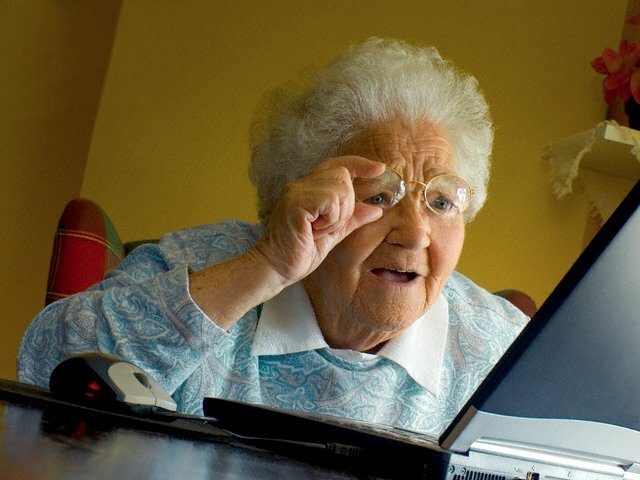 It also provides information on the best ways to gain online support for people who want to change their behaviour. The redeveloped site provides people with the option to develop a self-help action plan to reduce their alcohol consumption with the help of their medical professional. It also has a range of interactive tools, allowing them to quickly measure how much they drink, and compare their drinking habits against low risk levels. The Right Mix website, together with its companion mobile app, allows a new generation of serving members and veterans to use their smart phones and tablets to monitor their drinking habits. It supports the ADF’s Alcohol Management Strategy which promotes harm minimisation, and focuses on incentives like improvements in physical wellbeing and work performance. Veterans, their partners, war widows and widowers across Australia will see an increase to their pensions from today, 20 September 2015, as part of the bi-annual indexation process. As pension rates are calculated on a daily basis, the next pension paid after the 20 September increase (on payday 1 October 2015) will be paid partly at the old rate and partly at the new rate. The first full payment at the new pension rates will be 15 October 2015. You can view the new rates here. The TIP office will be closed from 14 Sep until 20 Sep.
DVA pays for treatment for certain mental and physical health conditions without the need for the conditions to be accepted as related to service. This is known as non-liability health care (NLHC). There is no need to establish that these conditions were caused by defence service. However, the specific conditions for which someone may be eligible to receive treatment depends on the period in which they served or, in some cases, the nature of their service (e.g service on operational deployments). Non-Liability Health Care eLearning course has been designed to provide information about NLHC eligibility, the conditions covered and how to apply for NLHC or assist others to do so. The course contains eight modules you can complete at your own pace. You can nominate for this course by downloading a nomination form using the link above. 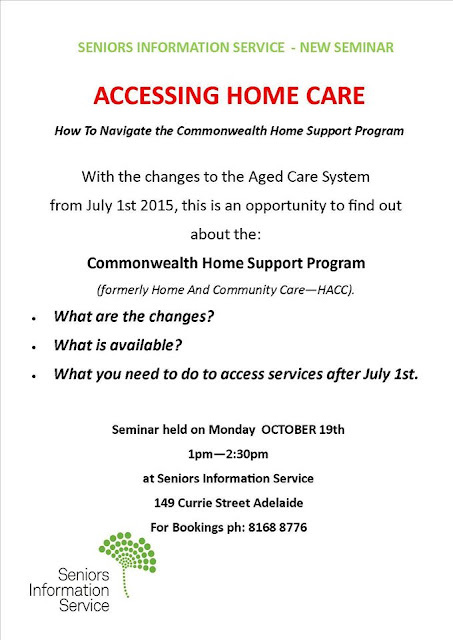 Are you interested in Accessing Home Care...Are you aware of the changes that came in from July? Seniors Information Service are holding a seminar on Accessing Home Care - Navigating the CHSP (Commonwealth Home Support Program). Monday Oct 19th 1 - 2:30pm. The above determinations conclude the previously advertised reviews of the contents of these SoPs. The above SoPs take effect from 21 September 2015. After registering the Statements of Principles concerning lipoma (Nos. 100 & 101 of 2015), a clerical error was identified and the following Amendment SoPs were prepared and registered to correct the error - Amendment Statements of Principles concerning lipoma Nos. 114/2015 & 115/2015. These Amendment SoPs also take effect from 21 September 2015. The Investigation Notices for these investigations will appear in the Government Notices Gazette of 1 September 2015. The Australian Veteran’s Children Assistance Trust (AVCAT) is a national independent charity helping the children and grandchildren of ex-service men and women to a better future through higher education. Applications for 2016 scholarships open on 18 August 2015 and strictly close on 31 October 2015. If you coordinate or manage volunteers, have management or governance responsibility in organisations that work with volunteers, the 2015 National Standards for Volunteer Involvement will be a useful tool for your organisation. Register for one of the National Standards Workshops scheduled for next week. The next round of registrations for Soldier On's Australian Business Academy: RTO Code 88201 courses are now open! Veterans and their partners can access free qualifications in Accounting, Business Administration, Management, HR, IT and Graphic Design. These qualifications can be completed over a year of studying online, and will tool you with skills relevant to a range of positions in the civilian workforce. For more information, head to http://bit.ly/ABA-Course-Info or email julie.jaensch@soldieron.org.au.